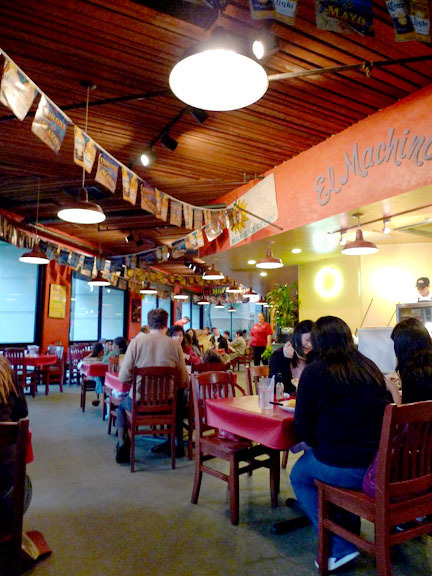 Just around the corner from Santana Row you’ll find one of my favorite Mexican Restaurants. Why do I love Chevy’s? 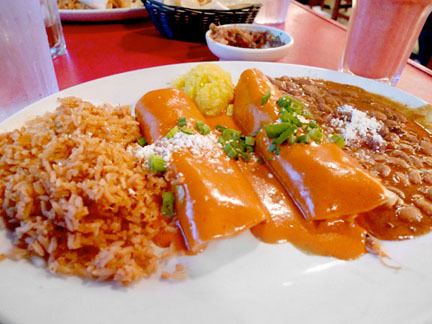 Two reasons: The Sweet Corn Tamalito side dish and their salsa. The interior of the restaurant is fun and festive with plenty of seating so that you never have to wait too long for a table. There is also dining in the bar and an outdoor patio. The salsa is always excellent! It’s unusual in that it has a smoky flavor to it. 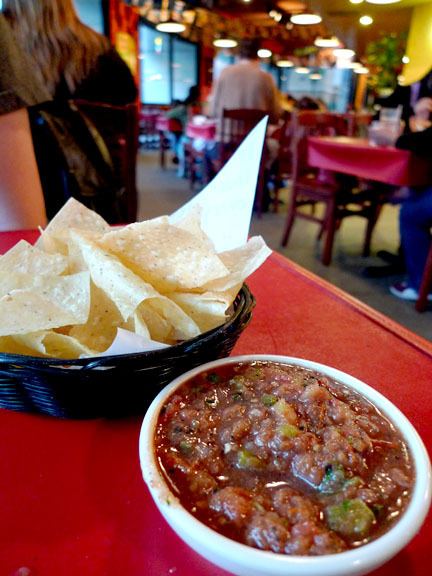 It even looks different then fresh raw salsa because their salsa is “fire roasted.” It has a little bite to it and is nice and chunky so you can really scoop it up on the chips while you wait for your meal. 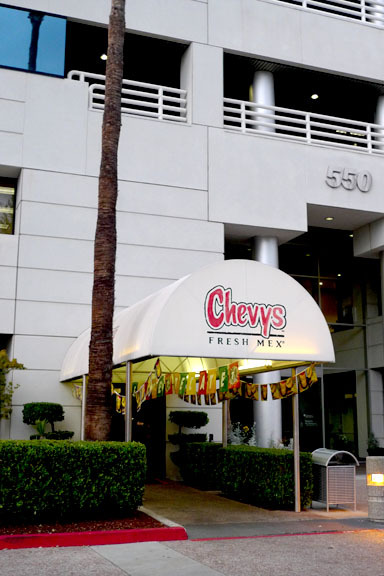 Let’s put it this way, at Chevy’s the chips and salsa hit your table within minutes of your being seated, they are delicious and are complimentary. At other restaurants I’ve paid for chips and salsa that weren’t even half as good. This night I tried to expand my horizons for your benefit by trying a fancier dish then what I typically order. This was their Chipotle Chicken Enchiladas with Rice, a scoop of Sweet Corn Tamalito and Pinto Beans. The side dishes are always good. In fact one of the things I enjoy most about Chevy’s is that their food and service are always consistent. Often when I go to Chevy’s I order two sides of Sweet Corn Tamalito, a side of beans and a side of guacamole (they make it fresh right at your table) as my entire meal. But that seemed like a weird food review to write so I wanted to order something more mainstream. Um what am I? Ten years old? 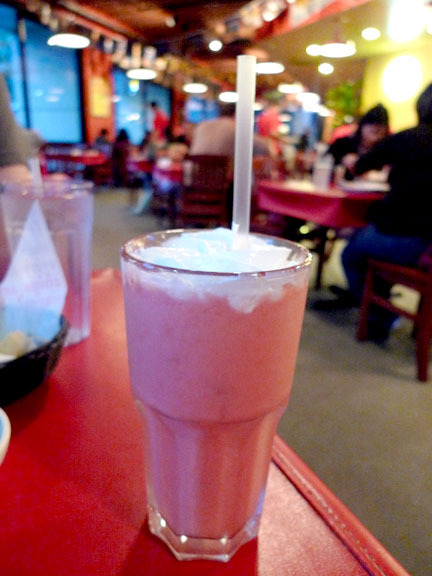 I ordered a Virgin Margarita not a Shirley Temple Slushie. 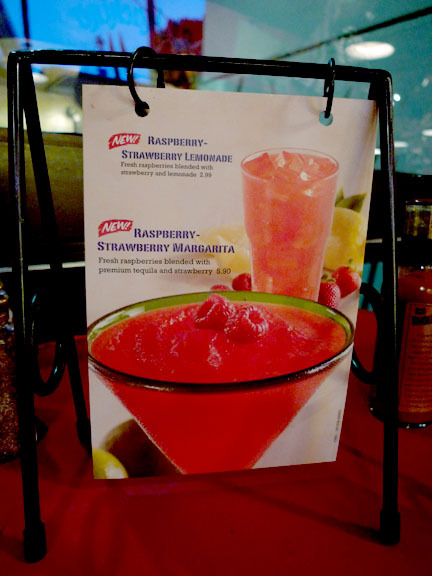 I have to admit it kind of took the fun out of my “drink” order that night. This is the fresh tortilla maker. It’s a pretty cool contraption. 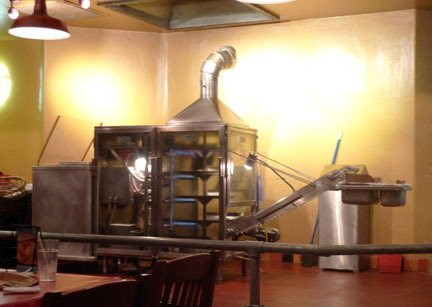 I enjoy sitting within view of it watching the fresh tortillas moving up the conveyor belt one by one. This entry was posted on Thursday, August 6th, 2009 at 10:34 am by Stacie Tamaki	and is filed under Uncategorized. You can follow any responses to this entry through the RSS 2.0 feed. You can leave a response, or trackback from your own site.